Dr. Mieke Lopes Cardozo is assistant professor (tenured) at the Amsterdam Institute for Social Science Research of the University of Amsterdam, and part of the Governance and Inclusive Development Research Group. Her academic research and teaching focuses on the role of education in processes of peacebuilding, social justice and transformation in the contexts of Sri Lanka, Aceh/Indonesia, Bolivia and Myanmar. She recently co-directed the Research Consortium on Education and Peacebuilding in collaboration with the University of Sussex, Ulster University and UNICEF. She is appointed as Advisor for the Security Council mandated Progress Study on Resolution 2250 on Youth, Peace and Security. She was recently awarded the 2017 Comenius Teaching Fellowship to implement an education innovation project called Critical Development and Diversity Explorations. Mieke has an academic background in International Relations, Conflict Studies, Latin American Studies (University of Utrecht) and International Development Studies (University of Amsterdam). She formerly worked at UNICEF in the Netherlands at the communications and education/youth department. She joined the UvA in 2007 and between 2011-2016 she coordinated the ‘IS-Academie’ co-funded research project of the University of Amsterdam and the Dutch Ministry of Foreign Affairs. She also led a Research Consortium on Education, Social Justice and Peacebuilding in collaboration with the University of Sussex and the University of Ulster and co-directed the Research Consortium on Education and Peacebuilding (2014-2016), a partnership with UNICEF’s Peacebuilding, Education and Advocacy (PBEA) programme, together with prof. Mario Novelli (University of Sussex), and prof. Alan Smith (University of Ulster). 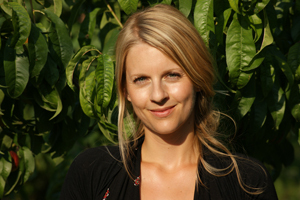 Mieke is also a certified yoga teacher and teaches weekly classes in Amsterdam. Mieke’s research is focused on education in relation to social justice, transformation and peacebuilding. Within this overarching theme, specific research areas of study include: formal and non-formal peacebuilding education; teacher education; teachers’ agency; female educational leadership; gender equality and justice; and youth agency/empowerment. Mieke conducted doctoral research on teachers and social change in Bolivia (2007-2011). Other research areas include the role of (non)formal peace education in Sri Lanka, peacebuilding education and female education leaders in the Islamic context of Aceh/ Indonesia and the relation between education policy, teachers roles’ and young people’s agency in Myanmar. Mieke supervises a number of post-doc and PhD researchers and (Research) Master students in International Development Studies working on similar research topics. She also lectures in several BA and MA courses within the International Development Studies programme at the University of Amsterdam. She is involved in GLOBED, an EU Erasmus Mundus Plus-funded joint Masters on Education Policies for Global Development. She is an invited visiting scholar/lecturer at the University of Sussex (2011, 2012, 2014), LSE Institute of Education (2012, 2013, 2014, 2017), University of Malta (2014, 2017), Universidad Autonoma de Barcelona (2014, 2015, 2016), University of Auckland (2013), Hogeschool Rotterdam (2010), UMSA La Paz (Bolivia, 2008, 2012), CEDLA (2011), Teachers College Columbia University (October 2016), University of Maastricht (2016), University of Groningen (2017), University of Minho, Portugal (2017), University of Oxford (2017). Connecting a passion for research and teaching that focuses on social justice and transformation, the recently awarded Comenius Fellowship allows Mieke to implement the Critical Development and Diversity Explorations innovation project. Through a co-created course with Research Master students from the International Development Studies Programme, we work on developing critical reflective skills to 1) recognise and unlearn deeply rooted, embodied and societal structures of othering, discrimination and exclusion; and 2) explore new, more socially just and transformative ways of relating to the world as a development-scholars/practitioners, by drawing on a range of alternative pedagogies. Former board member (2013-2016) of the Netherlands Association for Latin American and Caribbean Studies (NALACS). Elizabeth Maber – Constructing female citizenship in transition: women’s activism and education in Myanmar, see UvA page and EID webpage. Sean Higgins – The Agency of Teachers in conflict-affected Sierra Leone, see Uva page and EID webpage. Cyril Brandt – Teachers and the state in the D.R. Congo: The ambiguity of seeking inclusion to an omnipresent but opaque state, see UvA page and EID webpage. Go directly to an overview of all publications on Aceh/Indonesia, Bolivia, Sri Lanka and Myanmar. Shah, R., Aung, K. M., Lopes Cardozo, M. T. A. (2019). ‘Education and Policy Challenges of a Situation in Flux’ in: M. T. A. Lopes Cardozo and E. J. T. Maber (eds) Sustainable Peacebuilding and Social Justice in Times of Transition: Findings on the Role of Education in Myanmar (pp. 87-113). Springer. Lopes Cardozo, M. T. A. and Srimulyani, E. (2018), Analysing the spectrum of female education leaders’ agency in Islamic boarding schools in post-conflict Aceh, Indonesia. Gender and Education, 1-17. Duncan, R. and Lopes Cardozo, M.T.A. (2017), ‘Reclaiming Reconciliation through Community Education for the Muslims and Tamils of post-war Jaffna, Sri Lanka’, Research in Comparative and International Education, 12:1, pp. 76-94. Lopes Cardozo, M.T.A. & Shah, R.A. (2016) ‘The fruit caught between two stones’: the conflicted position of teachers within Aceh’s independence struggle’, Globalisation, Societies and Education, 14(3), pp. 331 – 344. Shah, R. A., & Lopes Cardozo, M. T. A. (2016) ‘Transformative teachers or teachers to be transformed? The cases of Bolivia and Timor Leste’, Research in Comparative and International Education. Lopes Cardozo, M.T.A., Fritsch, F., Niskanen, T. (2015) ‘Book Review: Schools for Conflict or for Peace in Afghanistan’, by Dana Burde, South Asia Journal. Lopes Cardozo, M.T.A., Sawyer, J., Talavera Simoni, M.L. (2015) ‘Machismo and Mamitas at school: exploring the agency of teachers for social gender justice in Bolivian education.’ European Journal of Development Research 27, pp. 574–588. Lopes Cardozo, M.T.A. & Shah, R. (2015) Situating studies of education and conflict within the evolving field of comparative and international education: past, present and future. In Z. Gross and L. Davies (Eds.) ‘The contested role of education in conflict and fragility’. The World Council of Comparative Education Societies (WCCES), pp. 249 – 256. Lopes Cardozo, M.T.A. (2015) Bolivian teachers’ agency: Soldiers of liberation or guards of coloniality and continuation? Education Policy Analysis Archives, 23(4), pp. 2-22. Shah, R. A., & Lopes Cardozo, M. T. A. (2015) The Politics of Education in Emergencies and Conflict. In T. McCowan, E. Unterhalter (Eds.) Education and International Development: An introduction (pp. 181-200). London: Bloomsbury Academic (This book received the PROSE Award in February 2016). Lopes Cardozo, M.T.A. & Hoeks, C.M.Q. (2014) Losing ground: a critical analysis of teachers’ agency for peacebuilding education in Sri Lanka. Journal of Peace Education, 12 (1), pp. 56-73. Shah. R., & Lopes Cardozo, M.T.A. (2014) Education and social change in post-conflict and post-disaster Aceh, Indonesia. International Journal of Educational Development, 38, pp. 2-12. Lopes Cardozo, M.T.A. (2013) A Critical Theoretical Perspective on Education and Social Change in Bolivia: A Contested Alternative Pedagogy. Chapter 5 in: S.C. Motta and M. Cole (Eds. ), Education and Social Change in Latin America, New York, Palgrave Macmillan, pp. 89-106. Lopes Cardozo, M.T.A., & Strauss, J. (2013) ‘From the Local to the Regional and Back: Bolivia’s Politics of Decolonizing Education in the Context of the ALBA–TCP’, chapter 12 in: T. Muhr (ed), Counter-Globalization and Socialism in the 21st Century: The Bolivarian Alliance for the Peoples of Our America, London, Routledge, pp. 203-218. Novelli, M., & Lopes Cardozo, M.T.A. (2012) ‘Globalizing Educational Interventions in Zones of Conflict: The Role of Dutch Aid to Education and Conflict’. chapter 11 in: A. Verger, M. Novelli and H. Kosar Altinyelken (eds). Global Education Policy and International Development: New Agendas, Issues and Policies, London, Continuum, pp. 223-244. Lopes Cardozo, M.T.A. (2012) Transforming pre-service teacher education in Bolivia: from indigenous denial to decolonisation?’, Compare, 42(5), pp. 751-772. Lopes Cardozo, M.T.A. (2009) Teachers in a Bolivian context of conflict: potential actors for or against change? Special issue on ‘New perspectives: Globalisation, Education and Violent Conflict’, Globalisation, Societies & Education, 7(4), pp. 409-432. Lopes Cardozo, M.T.A., & May, A. (2009) ‘Teaching for peace – overcoming division? The potential contribution of peace education in reconciliation processes in the cases of Sri Lanka and Uganda’, Chapter 15 in: Opportunities for Change, edited by Susan Nicolai, UNESCO-IIEP, pp. 201-217. Novelli, M. & Lopes Cardozo, M.T.A. (2008) ‘Conflict, education and the global south: New critical directions’, International Journal of Educational Development, 28 (4), pp. 473-488. Lopes Cardozo, M.T.A. (2008) ‘Sri Lanka: in peace or in pieces? A Critical Approach to Peace Education in Sri Lanka’, Research in Comparative and International Education, 3(1), pp. 19-35. Lopes Cardozo, M.T.A., Higgins, S. & Le Mat, M.L.J. (2016) Youth Agency and Peacebuilding: An Analysis of the Role of Formal and Non-Formal Education. Synthesis report on findings from Myanmar, Pakistan, South Africa and Uganda, Research Consortium on Education and Peacebuilding, University of Amsterdam. Shah, R., Maber, E.M., Lopes Cardozo, M.T.A., Paterson, R. (2016) Peacebuilding Education and Advocay Programma, UNICEF Programme Report 2012-2016, June 2016, UNICEF: New York. Higgins, S., Maber, E., Lopes Cardozo, M.T.A., Shah, R. (2015) Selections of a Research Report on Education and peacebuilding in Myanmar. Research Consortium Education and Peacebuilding, University of Amsterdam. Novelli, M., Lopes Cardozo, M.T.A., Smith, A. (2015) A Theoretical Framework for Analysing the Contribution of Education to Sustainable Peacebuilding: 4Rs in Conflict-Affected Contexts. Research Consortium Education and Peacebuilding, University of Amsterdam. Lopes Cardozo, M.T.A., Higgins, S., Maber, E., Brandt, C.O., Kusmallah, N., Le Mat, M.L.J (2015) Literature Review: Youth Agency, Peacebuilding and Education, University of Amsterdam. Lopes Cardozo, M.T.A., & Novelli, M. (2011) GMR background paper: Dutch Aid to Education and Conflict. UNESCO. Lopes Cardozo, M.T.A. (2006, unpublished) The State of Peace Education in Sri Lanka: in peace or in pieces?, Ma thesis, Msc International Development Studies, University of Amsterdam, available at the www.ineesite.org. Lopes Cardozo, M.T.A. (2012) Los futuros maestros y el cambio social en Bolivia – Entre la descolonización y las movilizaciones, PIEB (Programa de Investigación Estratégica en Bolivia) & Universiteit van Amsterdam, La Paz. Lopes Cardozo, M.T.A. (2015) “Education as a Stronghold? The Ambiguous Connections between Education, Resilience and Peacebuilding” NORRAG Policy Research Note #2. Lopes Cardozo, M.T.A., & Schreinemachers, R. (2013) Education: Who cares? Blog for DevEd. Lopes Cardozo, M.T.A., & Schreinemachers, R. (2013) It’s the education, stupid! – Waarom onderwijs op de Nederlandse ontwikkelingsagenda moet blijven, One World. Lopes Cardozo, M.T.A., & Shah. R. (2013) The right to education in situations of conflict-affected and fragile states – a post-2015 priority? NORRAG blog. Lopes Cardozo, M.T.A. (2009) ‘De onderwijzer, een onmisbare schakel’, Onze Wereld, # 7/8, pp. 36-37. Also published in: Heilige Huisjes, Essaybundel 2009 ‘Onderwijzen is meer dan lesgeven aleen’ Dutch Ministry of Foreign Affairs and Onze Wereld. Winning Essay competition Heilige Huisjes. Radio interview on Radio 1 in the programme Atlas on 5 July 2009 (http://llink.nl/atlas/, from 102.50 min. – 108.20 minutes). Lopes Cardozo, M.T.A. (2017) Opportunities for inclusive higher education, keynote, UvA Teaching Day, 31 May 2017. Lopes Cardozo, M.T.A. (2017) Invited speaker for Expert Meeting on Law, Education and the Sustainable Development Goals’ roundtable, The Hague Institute for Global Justice/Protecting Education from Insecurity and Conflict (PEIC/Qatar), 19 May 2017, The Hague. Lopes Cardozo, M.T.A. (2017) Researching the role of education and youth in sustainable peacebuilding. Invited speaker for Oxford Peace Conference, 6 May 2017. Lopes Cardozo, M.T.A. and Mendenhall, M. (2017), Mapping the Field of Education in Emergencies, invited speakers for INEE seminar, University of Minho, Braga (Portugal), 5-7 April 2017. Lopes Cardozo, M.T.A. (2017) Problematizing “agency” of educators and students in conflict-affected contexts. Conference presentation Comparative International Education Societies (CIES) in Atlanta, March 4-9 2017. Lopes Cardozo, M.T.A. (2016), Education for Peacebuilding – notions of peace, Invited guest speaker at LSE/Institute of Education 20 February 2017. Lopes Cardozo, M.T.A. (2016) Visiting scholar and invited speaker at Columbia University, Teachers College – 25th October 2016, ITS workshop “Teaching for peace or conflict? A conceptual journey to study educator’s and students’ agency for sustainable peacebuilding”. Lopes Cardozo, M.T.A. (2016) Agents of Peace and Conflict, CPE (Cultural Political Economy) Conference Bristol University, 24-26 August 2016. Lopes Cardozo, M.T.A. and Shah, R. (2016) The Role of Education for Human Security in Aceh Indonesia, invited speakers for International Conference “From Human Rights to Human Security”, Universitas Islam Negiri Ar-Raniry, meeting of Indonesian Deans of Political Sciences, 10 August 2016. Lopes Cardozo, M.T.A. and Srimulyani, E. (2016) Reconsidering contextualised notions of dayah female education leaders’ agency for peacebuilding in the post-conflict and post-tsunami context of Aceh, Indonesia, conference presentation ICAIOS VI, Banda Aceh, August 2016. Lopes Cardozo, M.T.A (2016) The role of formal and non-formal education for youth peacebuilding agency in Myanmar, Pakistan, South Africa and Uganda, Invited speaker for the UNICEF Regional Meeting of ROSA on Education and Peacebuilding in Colombo, Sri Lanka, May 2016. Lopes Cardozo, M.T.A. (2016) Education and Youth Agency for Peacebuilding; Invited speaker for the World Bank Forum on Fragility and Conflict, Deep Dive Conference: The Role of Education in Conflict Affected Contexts, representing the Research Consortium as co-director and presenting on as part of the “research evidence presentations”, Washington DC, 1-3 March 2016 . Lopes Cardozo, M.T.A. (2016) Peacebuilding education programmes for youth, Invited speaker for the Practictioner/Researcher Forum on Education, Conflict and Instability, hosted by the Centre for International Education, University of Sussex, 20-21 January 2016. Lopes Cardozo, M.T.A. (2016) The role of formal and non-formal peacebuilding education programmes focusing on youth, Conference presentation, Comparative and International Education Societies (CIES), Vancouver, 6-10 March 2016. Research Consortium Dissemination Seminar, Amsterdam 20-22 April 2016, proceedings in a Dissemination Seminar Report, The role of Education in Peacebuilding, Foundations, Findings and Futures, and a video. Co-chair and convenor for the Special Interest Group on Education, Conflict and Emergencies of the Comparative and International Education Societies.